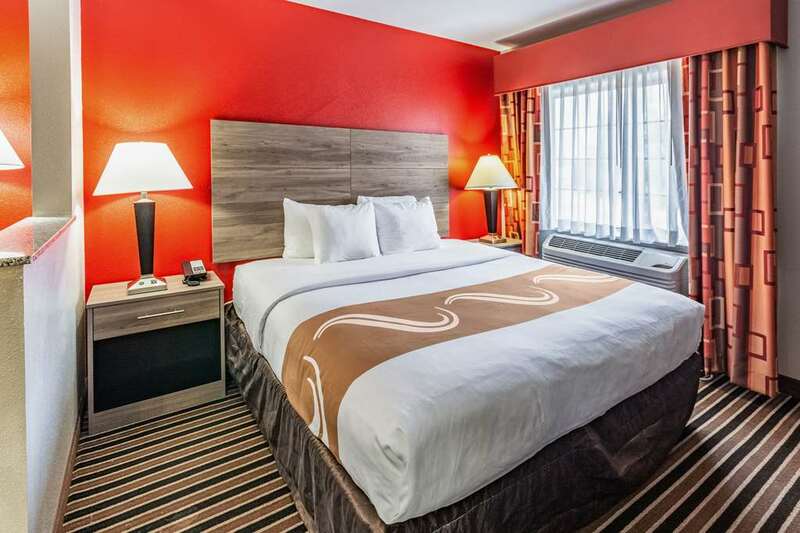 Get more for your money at the Quality Suites I-44 hotel in Tulsa, OK near University of Tulsa. When business puts you on the road, and you need to get work done, you are invited to make use of our business center and enjoy our free WiFi. Additional amenities include free hot breakfast, an exercise room and guest laundry facilities. All guestrooms include TVs, hair dryers, coffee makers, desks, irons, ironing boards, microwaves and refrigerators. Also, earn rewards including free nights and gift cards with our Choice Privileges Rewards program.